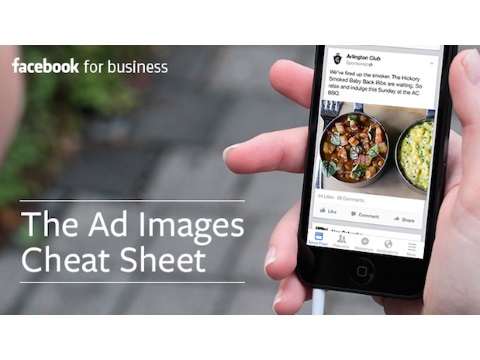 With the occasional exception, the majority of the Facebook marketing sector believes in the power of images, and the social network provided a cheat sheet to help brands determine what to look for in images for their ads. It’s said that a picture’s worth 1,000 words, but when it comes to digital ads, the right image can mean so much more: the difference between being noticed or ignored, between helping your business’ bottom line or not. Show the interesting part of your business: Grab people’s attention with images of your people, products and environment. Avoid distracting image elements, like bad lighting: You want people to pay attention to your image, not your image quality. Match your image to your message: Your image and words should individually convey your message but also complement each other. Use images that incite emotion: Emotion is a powerful tool for connecting with your audience. Use images that reflect your brand: Include your brand’s color or products in your images. Stay consistent: Ad images should look and feel the same across channels so customers recognize your messages. Refresh your images: Ad campaigns fatigue over time, so review performance and update your images when you see ad performance dip.